You free printable Birthday card with Bratz dolls! Wish any Bratz fan a happy Bratzy Birthday! This pinky purple card has two beautiful Bratz dolls posing on the front looking glamorous as always! 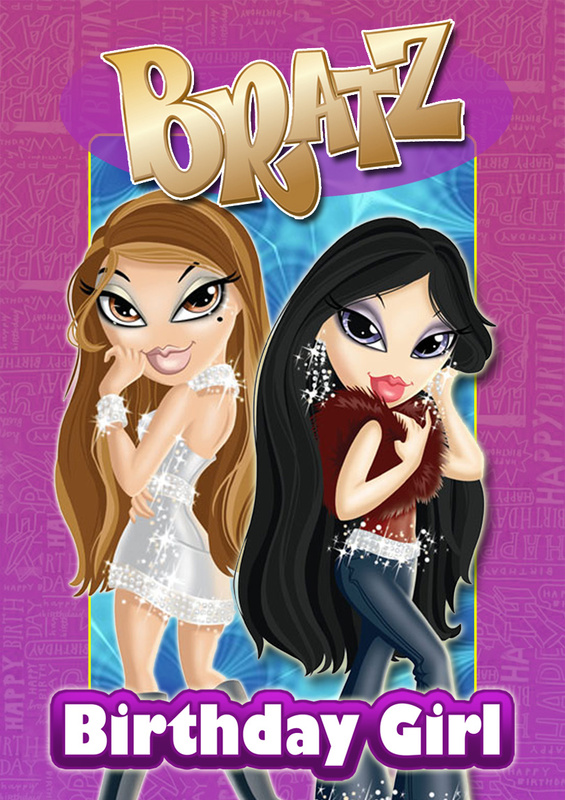 Girls will love this card and it would go well with Bratz gift for their birthday. Writing the words for the inside of your card can sometimes be difficult. We have simplified the process. See below for some great birthday message suggestions and hope you have a wonderful day! Make-up gets all washed away. Hey girl! Today’s your day, hope you have a fabulous birthday with all your fabulous friends! Stay as beautiful as you are. Let your inner beauty shine inside you. Love lots, xoxo.